Lizzie first joined the Mirasee community in September of 2014 when she enrolled in the Audience Business Masterclass. Prior to that, a family relocation had taken her away from teaching fitness to moms of small children. Thus, she decided to start blogging as a way to stay connected with “her moms.” ABM was the perfect fit for helping her blog to iterate and grow. In the spring of 2015, Lizzie jumped at the opportunity to contribute her teaching skills to the Mirasee team as a Student Coach. 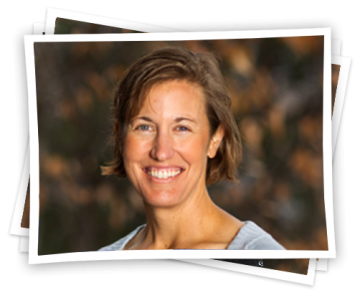 Prior to her fitness career, Lizzie utilized her Masters of Education degree while teaching middle school science for 5 years. Most people cringe when she says “middle school,” but middle schoolers are actually really fun to work with. They are young enough to still respect authority (pretty much), but old enough to have a great sense of humor. Lizzie loves learning about a whole range of things, but especially behavioral psychology and weight loss. When she’s not interacting with the Mirasee community, you might find Lizzie exercising or writing about making peace with the imperfect body. She has also written a book called 7 Ways to Willpower.